A video posted on Facebook shows one of the most bizarre robberies ever attempted in Florida. A man ran into a convenience store carrying a live alligator. The animal was around 4 feet long and fortunately had its mouth full of razor-sharp teeth taped shut, probably so the gator's handler wouldn't get bitten himself! The alleged thief walks into the Jacksonville store with the large alligator in his arms and asks, "Y'all ain't out of beer are you?" He then chases after another customer in the store while yelling, "Is he taking the last bit of beer? You aren’t taking the last bit of beer are you?" People in the store nervously laugh as they juke the alligator-wielding perpetrator. The man then walks into the beer cooler with the gator still in his arms and grabs a 12-pack of beer. The man who posted the video said it was "all fun and games. I knew everybody in there." It is unclear if the man stole the beer or if his actions with the alligators were illegal. 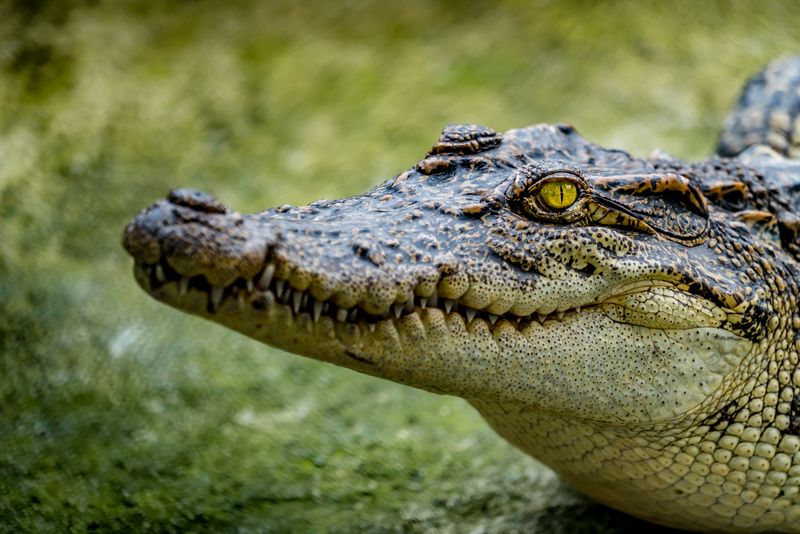 The Florida Fish and Wildlife Conservation Commission is currently investigating the incident and has not yet announced whether any charges will be filed against the man. The man is lucky he wasn't shot like another recent beer runner was in Florida which is also evidence that the men in the store new each other.